1. Who is this racehorse? 2. Who is the inbred ancestor? 3. What recent gr. I winner's pedigree features this horse's sire? 4. What race is shown below? 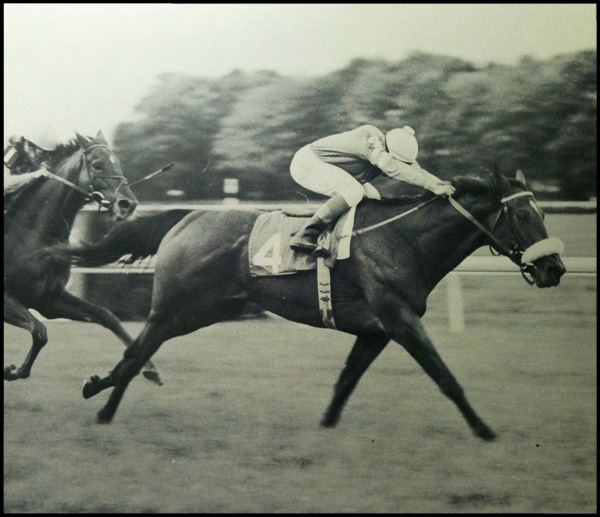 UPDATE: Congrats to refrain, Kirsten, ericarole, HLLIKINS, Carissa, and russf for their correct identification of Waya (by Faraway Son), inbred 4 x 4 to Judy O'Grady, and pictured here winning the 1978 Man O'War Stakes (Click for Video).